Cross country was on and my stomach had butterflies while my knees were shaking. At Pt England School, cross country is held every year. Everyone needs to participate. But if you have some kind of injury or sickness then you don’t need to worry about it. When you are little you do a small run, but every time you grow up, the run gets longer and harder. This year the Year 7 girls ran 3km. Cross country is very good for us kids to get fit. The race started at 1 o’clock. So when the clock struck 1, every class came and sat down in front of a chair that had their Year level on it. When cross country had begun, the first age group went first, which obviously was the Year 1s. I was the flag person as well as my brother, and standing next to us supporting the kids were Gloria and T.J (house captains). 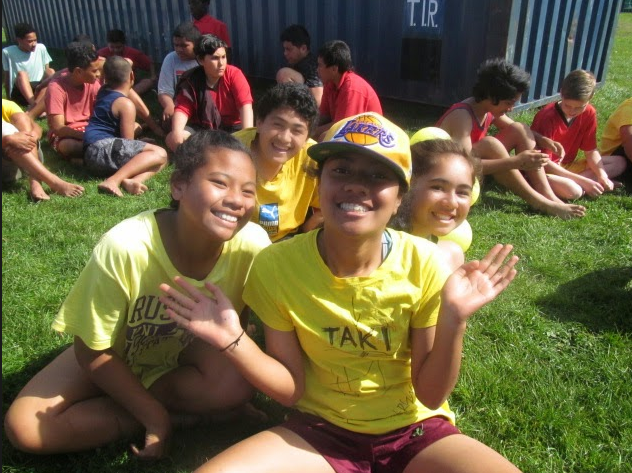 Jorja was sick, so Gloria stood in for her as Takitimu house captain. When we looked closely we saw that a Takitimu runner was coming first. Our team was shouting saying “Go Takitimu! !” The first team to come first was Takitimu. After all the little kids races were done, it was time for the year 7 girls. The teachers called for us and we walked up to the line. I said to myself “Wooh just get this done and athletics next!” My eyes looked to the side and saw the other girls looking very scared. Mr Burt was telling us to not bump each other. As he was talking, I took a big long breathe in, and exhaled out slowly. Waiting for Mr Burt to say go, I was so nervous. “Go” shouted Mr Burt. I sprinted so hard that I was close to the front. But as soon as I got to the second teacher, I was really tired, that I couldn’t run anymore. I was so surprised that I was already tired when we needed to do 2 laps around the reserve and that is 3k. While I was running I was so exhausted! My legs began to cramp up, and sticks were poking my feet. My heart was pounding really fast, and I was so puffed. I looked in front and I saw Kevine. She was coming first. When I saw her I was really happy because we’re in the same team, Takitimu. I was just too tired to run. When I was on my second lap, I started running with the help of teachers encouraging us to run. While I was running, I was about to faint. Even though I didn’t come any place to go to the Inter zones, at least I finished the race with a big smile on my face.